The winner of the Susan Smith Blackburn Prize was announced in New York yesterday (2 March), with the recipient revealed as Tena Štivičić for her epic drama 3 Winters. First seen at the National Theatre, London, in November 2014, 3 Winters charts the recent history of Croatia by focussing on the story of four generations of the Kos family, who argue and fall in and out of love as world after world is erected and then torn down around them. The Susan Smith Blackburn Prize is the oldest and largest prize awarded to women playwrights. Established in 1978, the Prize is given annually to recognize women who have written works of outstanding quality for the English-speaking theatre. This year's nominees also included NHB playwrights Alecky Blythe (for Little Revolution) and Katherine Chandler (for Parallel Lines). Previous NHB winners include Caryl Churchill (twice), Lucy Kirkwood, Elizabeth Kuti and Chloë Moss. To celebrate Tena Štivičić's Susan Smith Blackburn Prize success, we're offering a special discount on 3 Winters when ordering through our website. Get the play at 50% off when you use the code BLACKBURN15 at checkout. This offer is valid until 31 March 2015. The recipients of the 2015 Windham Campbell Prizes were announced in New York today (24 February), with NHB playwrights Helen Edmundson and debbie tucker green among those recognised. Helen Edmundson’s first play, Flying, was presented at the National Theatre Studio in 1990. She has worked extensively with Shared Experience, including on adaptations of Anna Karenina, The Mill on the Floss, and War and Peace, among others, and the original play Mary Shelley. Recent work includes Swallows and Amazons (Bristol Old Vic, 2010, then West End and national tour), The Heresy of Love (Swan Theatre, Stratford-upon-Avon, 2012) and Thérèse Raquin (Theatre Royal, Bath, 2014). debbie tucker green’s plays include born bad (Hampstead Theatre, 2003, Soho Repertory, New York, 2011 and winner of the 2004 Olivier Award for Most Promising Newcomer and an OBIE award for playwriting); dirty butterfly (Soho Theatre, 2003); trade (RSC, 2005); stoning mary (Royal Court Theatre, 2005); generations (Young Vic, 2007); random (Royal Court Theatre, 2008); truth and reconciliation (Royal Court Theatre, 2011) and nut (The Shed, National Theatre, 2013). She has also written and directed a feature film, Second Coming (BFI/Film 4, 2014) and adapted her play random into a TV film for Channel 4, which won the 2012 BAFTA for Best Single Drama and the Black International Film/MVSA Award for Best UK Film. First awarded in 2013, the Windham Campbell Prizes were established by Donald Windham and Sandy M. Campbell to call attention to literary achievement and provide writers with the opportunity to focus on their work independent of ﬁnancial concerns. Nine writers are recognised across three categories - fiction, non-fiction and drama - and can be from anywhere in the world, provided they write in English. The awards, which come with a $150,000 cheque, can be given for a body of work or extraordinary promise. Last year, Sam Holcroft was awarded a Windham Campbell Prize, the first British playwright to receive one. To date, three UK playwrights have received Prizes; all three are published by Nick Hern Books. To celebrate our authors' Windham Campbell Prize success, we're offering a special discount on their plays when ordering through our website. Get all plays by Helen Edmundson and debbie tucker green at 25% off plus free UK p&p when you use the code WCP15 at checkout. This offer is valid until 31 March 2015. Year of the Fat Knight: The Falstaff Diaries, Antony Sher’s account of researching, rehearsing and performing one of Shakespeare’s best-known and most popular characters, is to be Book of the Week on BBC Radio 4, broadcast from 4 May. It will be read by the author. Published thirty years ago, Antony Sher's account of preparing for and playing the role of Richard III, Year of the King, has since become a classic of theatre literature. In his new book, Year of the Fat Knight, Antony Sher provides insight into his process behind preparing to play Falstaff in Gregory Doran's recent Royal Shakespeare Company production of the two parts of Henry IV, for which Sher won the Critics' Circle Award for Best Shakespearean Performance. 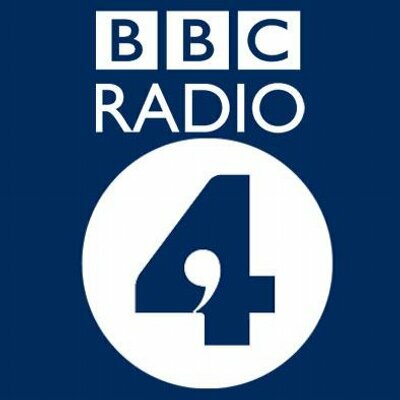 The book will be serialised on BBC Radio 4 from Monday 4 May, with broadcast available on iPlayer to listen to later. Year of the Fat Knight is published on 30 April. To read more about the book, and pre-order your copy, click here.